Kazan State Medical University (KSMU) is located in the central part of Kazan. The KSMU main campus is on Butlerov Street, although there are also other KSMU buildings throughout Kazan. The main campus includes main libraries, the museum, the departments of foreign languages, history, philosophy, political science and sociology, medical biology and genetics, public health and organization of healthcare, economical theory and social work, general and organic chemistry, microbiology, pathological physiology. A further set of buildings based around Universitetskaya Street includes the departments of physiology, histology and anatomy. The nearest bus stop to the main KSMU campus is Tolstogo. Other nearby bus stops are TsPKiO imeni Gorkogo, Shmidta, Chekhovsky rinok, Mushtari, Dostoevskogo. The Kazan State Medical University is located in the central part of city Kazan, Russia. 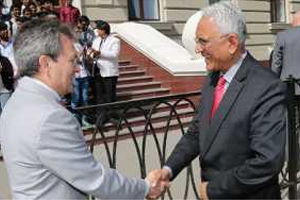 Kazan State Medical University is one of the most renowned, Medical Universities in Russia from where thousands of Indians have graduated in past. Kazan State Medical University is a multifunctional and multileveled state institution of higher education in medicine. The Kazan State Medical University functions on the basis of self-governance and belongs to the system of higher education and scientific research of the ministry of Health of Russia.The University prepares excellent experts in various fields of medicine. Kazan State Medical University holds 16th place among medical schools of the Russian Federation. According to the prestigious Academic Ranking of World Universities-European Standard ARES-2014, published by European Scientific-Industrial Chamber, Kazan State Medical University has obtained the third place among Medical Universities in the Russian Federation. International students from all the corners of the world come to get medical education at Kazan State Medical University, as the University offers its services to the students of all nationalities and religions. Kazan State Medical University has trained more than 24000 students, including foreign students from 49 countries. The degrees obtained at Kazan State Medical University is recognized by World Health Organization (WHO) and can be spotted in the World Directory of Medical Schools. It is also recognized by the Medical council of India. Kazan state medical University had commenced English-medium courses in 1996. All the lectures, practical, laboratory studies, seminars, tests, examinations, state examinations for English medium are conducted in English language. Russian Language is also included in English medium of education as a compulsory discipline. Clinical training is performed at 54 units of the Ministry of Health of the Republic Tatarstan.There are 33 general hospitals, outpatients departments, 21 polyclinics, maternity hospitals, dental polyclinics, etc. The total number of beds is around 9000. There are approximately 4500 therapeutic, 2120 — pediatric, 1500 — surgical and 440 — gynecological beds. The main hub of clinical training is the Republican Clinical Hospital. Other centers for clinical training include, Hospital of emergency care, City hospital No. 18 and Interregional Clinical Diagnostic Center. KSMU dental polyclinic has 98 dental chairs. Republican and 8 city centers of public healthcare with the specialized departments and laboratories are used for teaching and training the students of prophylactic medicine faculty. Pharmaceutical faculty uses for training its students 65 pharmacies with the laboratories in Republic Tatarstan, 18 pharmacies in Chuvashia and some commercial pharmaceutical units. 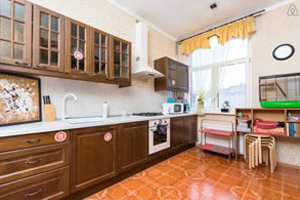 Kazan state Medical University has 6 hostels for students. Students are offered different kinds of rooms, which may differ in size. As a rule, two or three students can share the room. All the rooms are comfortable, fully furnished and well-heated. 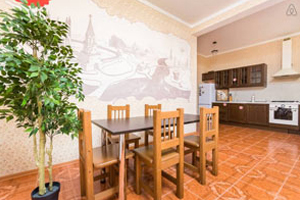 The rooms are provided with the Internet access, TV set and telephone. 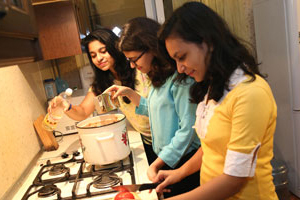 Facilities for students are organized on the sharing basis, these are: bathrooms and kitchens. There are special areas for students where they can socialize and meet new friends. All the students’ hostels are under protection of the police during 24 hours. Hostels are very closely situated to the University. 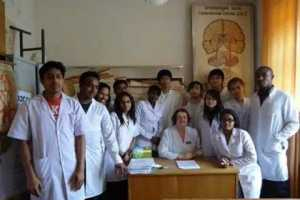 At Kazan State Medical University great attention is paid to students’ life. The University encourages those students, who take an active part in a wide variety of athletic programs. During the holidays, the students are offered to relax in the camp “Medic”, which is located in the forest on the banks of the Volga River. Students can also participate in year-round recreation, including football, tennis, basketball, swimming in summer, or skiing and skating in winter. The university has a perfect large library with more than 700 thousands of volumes in Russian & foreign languages. More than 500 renowned scientific and medical journals are available in the library or in the internet room. All students have their vacations twice a year. Summer vacations: from July 1 to August 31. Winter vacations: from January 15 to February 7. Russia has been a destination for foreign students from the times of the Soviet Union (USSR). Since then, KSMU was one of the medical schools from which foreign students were graduating in ample amounts. Currently, 450 students from 46 countries are studying in KSMU. More than 500 our foreign medical graduates and 200 Post graduates and Fellows currently success fully working all over the world, which explain the popularity of KSMU among foreigners. Medium is in English medium only. The university had commenced English-medium courses in 2003. All the lectures, practicals, laboratory studies, seminars, tests, examinations, state examinations for English medium are conducted in English language. For the English medium students, along with other subjects, Russian Language will also be taught as an independent subject for 4 years, in order to communicate with patients as well as the locals. Spring Semester — From February to June. There are examinations at the end of both semesters. The dates of examinations (Session Period) are determined by the Rector, but the examination dates for individual disciplines within the session period are decided by students and faculty members by mutual agreement. Student’s performance during the Examinations is Graded as: «Satisfactory»; «Good»; «Excellent» or «Unsatisfactory». The Medical Academy of Crimea Federal University provides all the possibilities for students and lecturers to realize their aspirations. The International Centre was established by the University as part of its commitment to the internationalization of its programs and activities. The International center provides a facility and service for the support of foreign students. Students participate in folk dance group "Youth", a pop dance group, a show-ballet, an amateur theater, a break dancing group. Most foreign students trained at Crimean State Medical University named after S. I. Georgievsky stay in comfortable hostels in the campus. The campus is built on the bank of the River Salgir in a five minutes’ walk from the educational buildings. On the opposite bank of the Salgir there is Gagarin park, the largest and most beautiful park in Simferopol, a favorite place of rest for the citizens and guests of our town. Students who have just arrived are settled in Hostel No.2 on the territory of the University itself. Here during the first year of studies the students are adapted to life in Ukraine. On the ground floor of the same building there are classrooms of the preparatory faculty. The rooms in this hostel are for three or four persons. There is a shower room, two kitchens, a classroom on every floor. There are also several students’ canteens and cafes on the territory of the University. 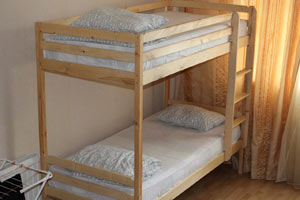 Rooms in other hostels of the campus are intended for two or three persons. These hostels are of apartment type. Every apartment is for 3-5 persons and has a shower room and a lavatory. On the territory of the campus there are food shops, 10 cafes of national Indian, Malaysian, Chinese and Arabic cuisine, several Internet-cafes, public telephones, a laundry, a sports ground and a special place for barbecue cooking. There is also a taxi park near the campus. In Hotel No. 4 there is an electronic reading hall where students may visit the University site and get an approach to all the teaching and methodical manuals necessary to prepare for classes and exams. Both the territory of the University and the main students’ routes from the hostels to the educational buildings are protected and patrolled by officers of guard service. The hostels fees at CSMU are from 250 to 510 USD per year depending on the conditions and the level of conveniences provided. © Ambition Abroad Carrer 2016. All Rights Reserved.